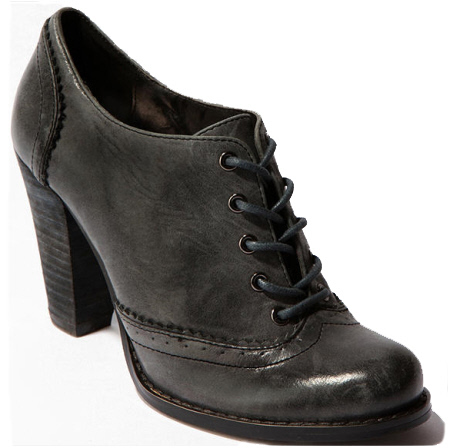 Ashlee Simpson looking chic in a pair of black oxford heels (or oxford booties). Love the way she styles it with a plaid cape (you see that Jess?). 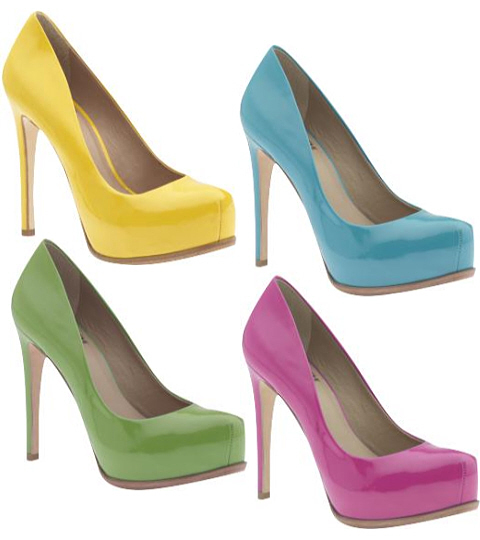 Oxford heels/pumps are ideal shoes for both work and play for their polished & chic appeal. 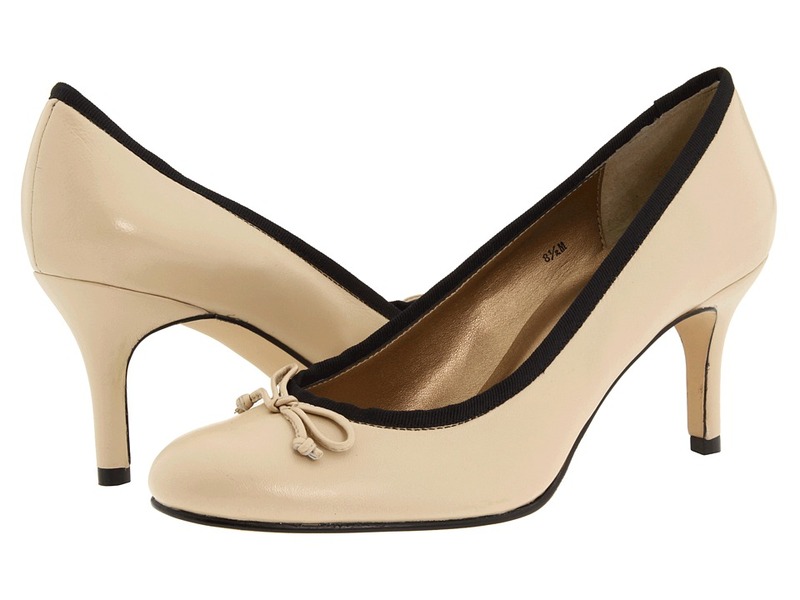 Pair them with a pantsuit for the office or denim shorts on weekends. I find them most appealing when worn with tights. I spotted amazing joxford heels at Urban Oufitters today. Kimchi Blue’s Wooden Heel Oxford Shoes are preppy to perfection. Available for only $78 in black or brown.